Millions waited on the morning of December 21, 2012, to see if humanity would survive the next twenty-four hours. The much-ballyhooed Mayan Calendar was set to close after more than five millennia of ticking off its last moments set in motion 1,872,000 days earlier by the so-called Long Count. During the final years leading up to that terminal expectation, growing crowds of authors, reporters, movie makers, and television producers foreshadowed Dooms Day with increasingly lurid imagery. Their dire prognostications were dismissed by scoffers, for whom 4 Ahau 3 Kankin, as the Maya referred to it, was simply the conclusion of an artificial cycle of time, nothing more. They claimed bragging rights when the proposed end date came and went with no perceptible change. But by limiting the Mayan Calendar’s ultimate significance to a single day, skeptics missed the point by a cosmic margin. The Maya deliberately chose December 21 as an allegory for decline and ignorance symbolized by the shortest annual day followed by the longest night. It self-evidently signifies an extended, dark term--the figurative death of the Sun--not a single, cataclysmic, twenty-four-hour period. They never intended 2012’s Winter Solstice as an event in and of itself but instead meant it to delineate a historical shadow into which our world began to irreversibly move. Accordingly, the Mayan prophecy is right on target, as climate and civilization experience an accelerating “dissolution of forms” Friedrich Nietzsche himself predicted for mankind 150 years ago. The quite observable imbalance of Earth’s biosphere parallels political, economic, and; cultural deterioration, with unprecedented storm violence and record-breaking temperatures contrasting popular mistrust of government, the collapse of long-established financial networks, and burgeoning illiteracy. Only in this broader sense can the Mayan Calendar be properly understood as it was originally intended. Its end date nonetheless matched a singular event in the heavens, when the southern end of our galaxy’s “dark-rift” formed a perfect alignment with a midpoint in the Milky Way on the morning of December 21, 2012. The same Long Count began 5,126 years before with another celestial orientation as the planet Venus transited directly over the Pyramid of the Moon on August 11, 3114 BC, at Teotihuacán (“where men become gods”), in the Valley of Mexico. David Hatcher Childress reports that “a date of circa 1400 BC is now widely accepted” for the birth of this Mesoamerican city, preceding the rise of the Maya by twelve hundred years, and; must, therefore, belong to an earlier, unknown, perhaps Atlantean, people at least contemporaneous with the Olmec. Even so, this date is far removed from 3114 BC, when the Morning Star rose to the zenith over Teotihuacán. We are left to only speculate how an original sacred structure venerated before the present Pyramid of the Moon must have occupied the same position to align with the singular transit of Venus. Unique it certainly was, because the planet’s appearance directly over the Pyramid of the Moon was a one-time orientation that never occurred before and will not happen again, just as 21 December 2012’s relationship between our galaxy’s “dark-rift” and a midpoint in the Milky Way was an entirely novel alignment. There are other, cogent similarities between the beginning of the Long Count and the prophecies for its end. The Long Count began with a universal catastrophe Aztec high priests knew as 4-Atl, or “4-Water”--“four" signifying the cardinal directions, indicative of the disaster’s global magnitude. The Long Count was likewise envisioned as terminating in a worldwide, less specified “rebellion of the Earth,” suggesting--appropriately, in view of today’s ecological concerns--trouble with our biosphere. The incredible astronomical precision with which the Maya and their Atlantean forerunners delineated both the opening and closing of their calendar appears to have been a deliberate attempt at underscoring and emphasizing the accuracy of their predictions for global upheavals. No conceivable scientific method, for example, could have enabled the Maya or their Atlantean predecessors and cultural benefactors to so accurately determine the one-time transit of Venus over Teotihuacán, in 3114 B.C., or the equally unique alignment between our galaxy’s “dark-rift” and a midpoint in the Milky Way, during 2012. Where conventional science reaches its limits, possibilities for remote viewing--projecting human consciousness beyond time and space--begin. No discussion concerning the paranormal dimension of Atlantis is possible without including America’s greatest psychic of the twentieth century, Edgar Cayce. 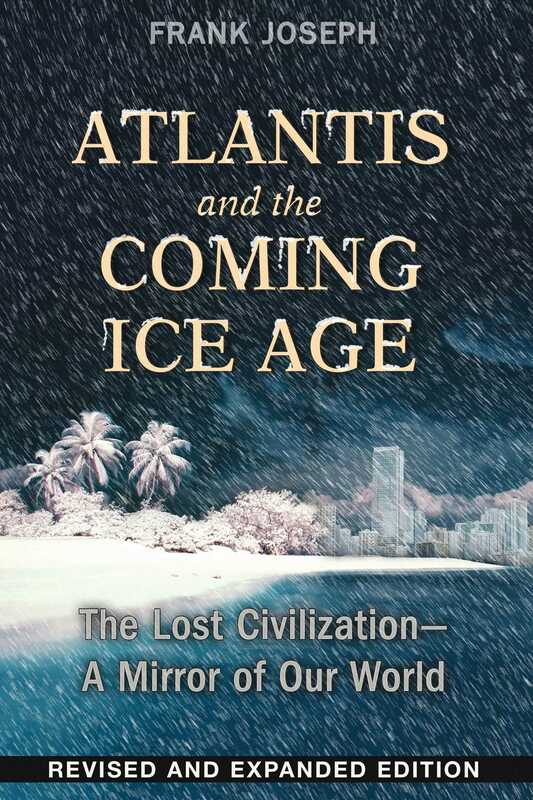 As we explore Cayce’s subconscious insights about the lost empire with most thorough scrutiny, aided by current scientific knowledge, the image of Atlantis that emerges is unusually vivid and human, with real-life men and women in and out of control of their ultimately disastrous destiny. Their portrayal aligns with an archaeologically accurate depiction of Atlantis, a starkly realistic recreation through which the remainder of our investigation emerges. A parallel tale and cautionary warning for our time and the potential for worldwide catastrophe. In searching for some disaster convincingly powerful enough to affect the entire world, or, at any rate, modern civilization, I ruled out the obvious suspects--asteroid collisions, germ warfare, nuclear or other “weapons of mass destruction,” viral epidemics, greenhouse gases, “Planet X,” gamma-ray bursts, extraterrestrial invasions, over-population, etc., etc. Most were at least theoretically possible to one degree or another, but unlikely. There are, however, several far more probable scenarios that fit the Mayan Prophecy in terms of character and immediacy, which will be investigated throughout this book. These catastrophes form the core of the Mayan Prophecy and their modern parallels with ancient Atlantis, whose people were caught in a self-destructive pattern all too recognizable in our own predicament. These Dooms Day scenarios are not alarmist conjectures but represent credible potentialities generated by actual phenomena. Far from having been invalidated by the deceptively tranquil passage of 2012’s Winter Solstice, that symbolic date simply marked the edge of a shadow into which our world descended. What may await us as it deepens is the subject of our story.